Simple, quick, and delicious! 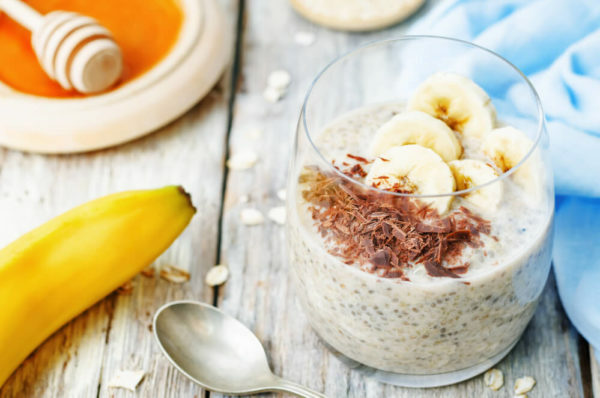 Overnight oats are a great way to start your day. 1/2 cup oats rolled or "old fashion"
In a bowl, mix together oats and your choice of either milk, yogurt, or kefir. Place mixture in the refrigerator overnight. In the morning, mix in toppings of your choice. Get creative with your flavor combinations! See the infographic below for some of our favorite combinations. Learn more about overnight oats here.